BAGUIO CITY – Acute hepatitis cases in the region from January 1, 2018 to October 6, 2018 totaled 129 cases which was 21 percent lower than the 163 cases recorded by the health department during the same period last year. 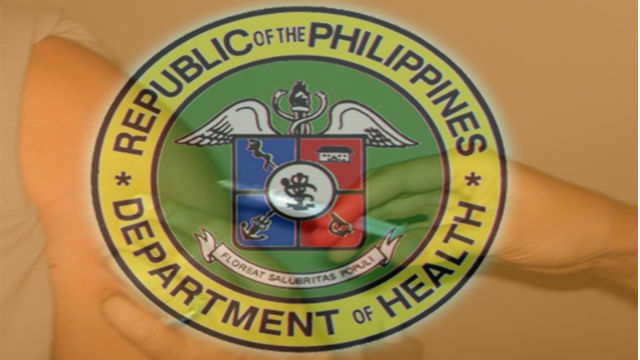 Based on the report obtained from the Cordillera office of the Department of Health (DOH-CAR) regional epidemiology and surveillance unit (RESU), there was only one fatality due to acute hepatitis that was reported this year compared to the 2 deaths that was recorded by the agency for the same period last year. The acute hepatitis cases that were recorded came from Benguet with 39 cases or 30.2 percent of the total number of reported cases; Baguio City – 38 cases or 29.5 percent; Kalinga – 5 cases or 3.9 percent; Ifugao and Mountain Province with 4 cases each or 3.1 percent; Apayao – 2 cases or 1.6 percent and non-CAR provinces – 37 or 28.7 percent. Health authorities reported that there were some 70 females who contracted the illness which represent 54 percent of the total number of individuals that were affected during the reckoning period. Further, the age range of the affected individuals were from 2 days to 84 years old with a median of 37 years old. Geeny Anne Austria, Nurse V of the DOH-CAR’s RESU, said that most of the laboratory results were reportedly positive for hepatitis B. According to her, a cute viral hepatitis is inflammation of the liver caused by infection with one of the five hepatitis viruses and in most people, the inflammation begins suddenly and lasts only a few weeks. Experts claimed that affected people may have a poor appetite, nausea, vomiting, fever, pain in the upper right part of the abdomen, and jaundice. Doctors do a physical examination and take blood samples to analyse the extent of the infection that a patient was able to contract from the said illness. Health officials claimed that vaccines can prevent hepatitis A, B, and E and usually, specific treatment is not needed. Acute viral hepatitis can cause anything from a minor flu-like illness to fatal liver failure and that sometimes there are no symptoms, thus, the severity of symptoms and speed of recovery vary considerably, depending on the particular virus and on the person’s response to the infection. Hepatitis A and C often cause very mild symptoms or none at all and may be unnoticed. Hepatitis B and E are more likely to produce severe symptoms. Infection with both hepatitis B and D (called coinfection) may make the symptoms of hepatitis B even more severe. In people who smoke, a distaste for cigarettes is a typical symptom. Occasionally, especially with hepatitis B, infected people develop joint pains and itchy red hives on the skin (wheals or urticarial).